Summer is here in our parts and it is barbecue time! 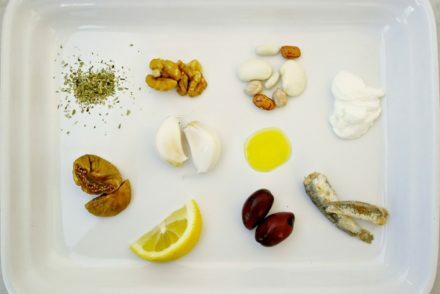 Typically in a Greek-Mediterranean diet meat is mostly consumed as a side dish and not that often. That’s what I do as well, red meat is typically a weekend thing and now that it is summer it is often on the barbecue. Chicken, Greek style meat patties and sometimes traditional Greek sausage may be on the menu. But the sides are what is more interesting. 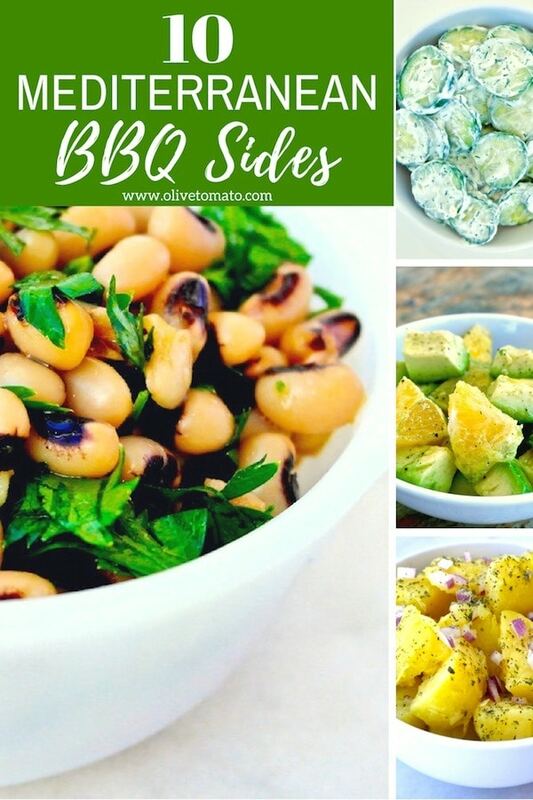 I love combining various salads, dips, beans and other veggie side dishes to accompany the meat, not only is it a refreshing break from the meat, but you can balance out the nutritional value of your meal. My top choices are make-ahead dips, salads and simple vegetable dishes that do not require a lot of time. Ok, this is the ultimate dip for meals with meat! Tzatziki is what makes a souvlaki so good. 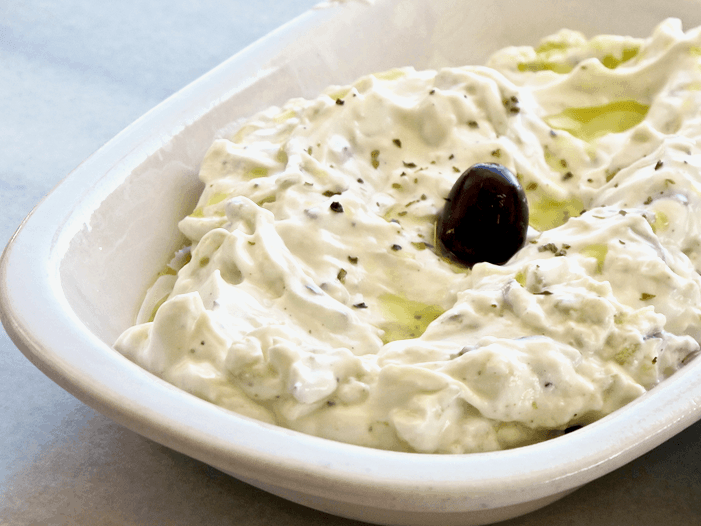 Nothing is better than dipping your meat in some cold, creamy tzatziki. Get the recipe here. This easy dip takes advantage of this aromatic herb that we often just use as decoration. 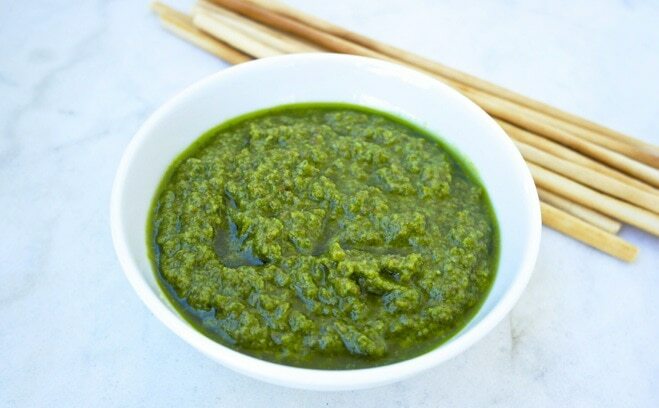 Great for dipping but also a perfect sauce for your chicken dishes. Get the recipe here. 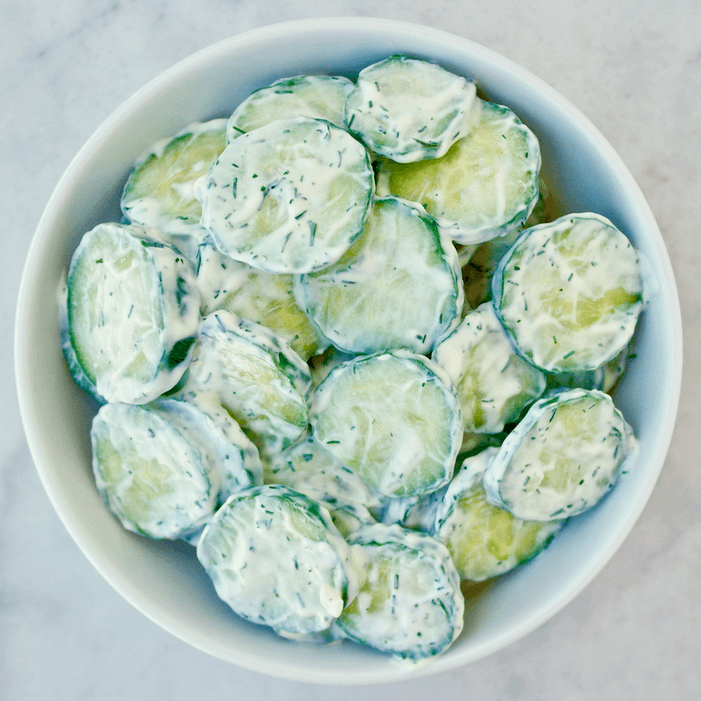 This simple salad combines the spiciness of tzatziki along with refreshing cucumber. Get the recipe here. 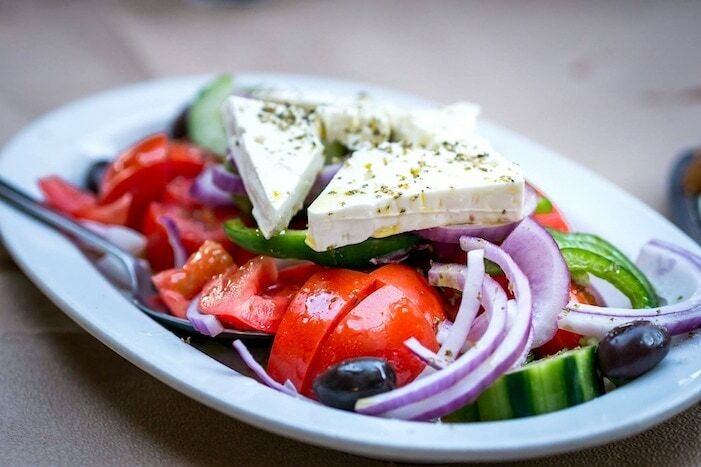 Everybody loves a good Greek salad. 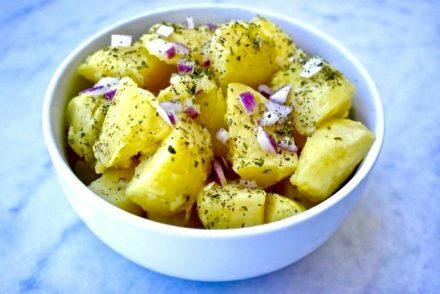 It is a perfect side to any type of meat dish and uses the best of summer produce. Get the recipe here. 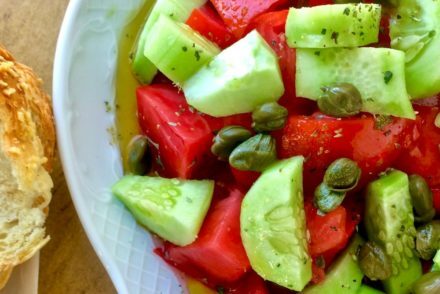 If you want to make just one salad, this may be it. 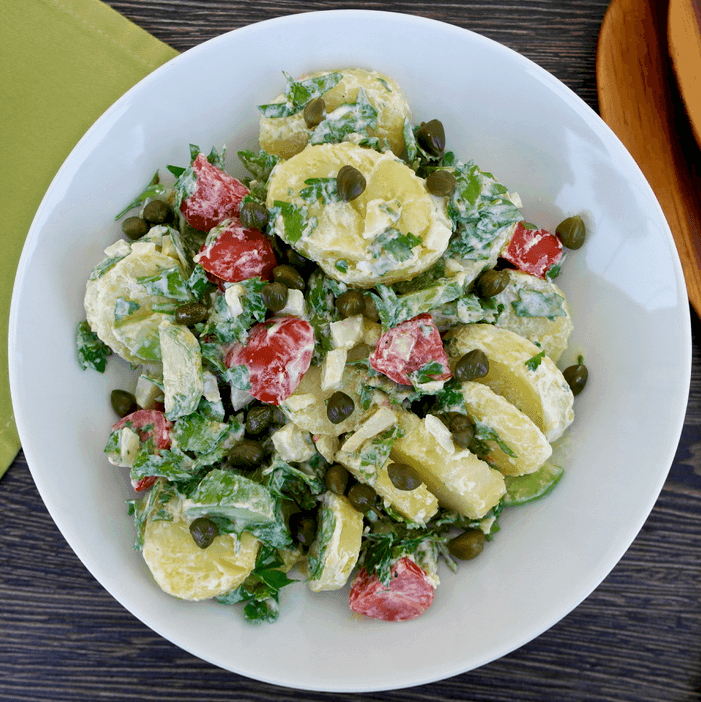 It combines potatoes and summer vegetables along with a light yogurt dressing. A perfect accompaniment to any meat. Get the recipe here. This is an easy salad and a favorite. It also does not contain mayonnaise or eggs or any kind of dairy, making ideal for picnics and barbecues in hot weather. Get the recipe here. 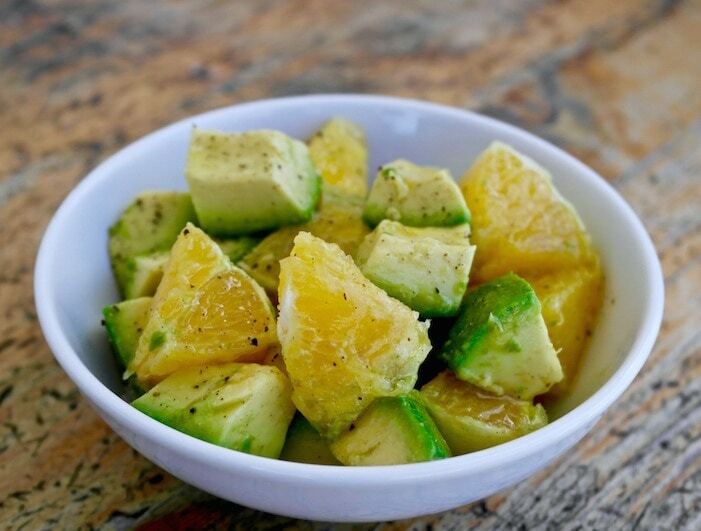 A creative way to use avocado. This -rich in good fats- salad is also nice to serve over chicken. Get the recipe here. 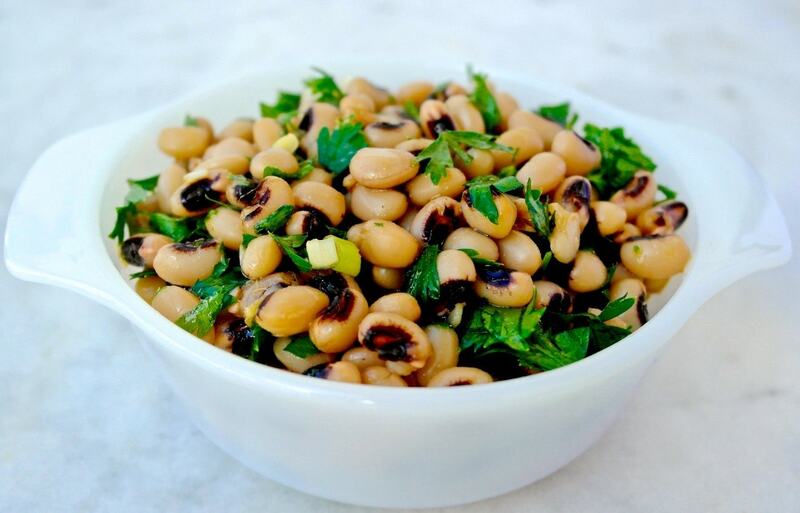 This bean salad of gently cooked black-eyed peas blended with an olive oil-honey dressing is really good and tastes better the next day. Get the recipe here. 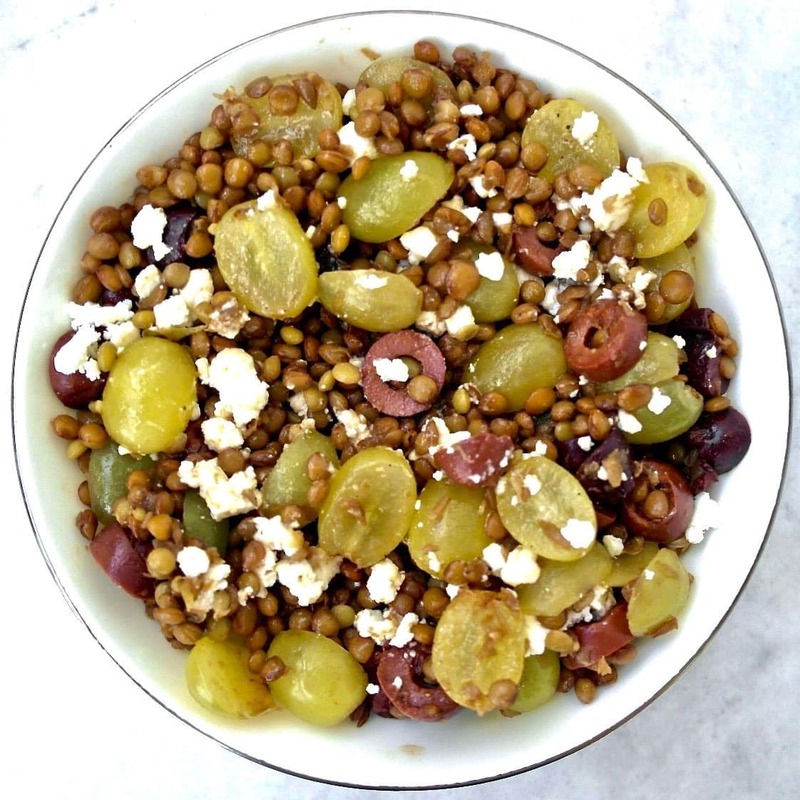 Another bean salad that everyone will like as lentils are paired with olive oil, feta, olives and grapes. Get the recipe here. 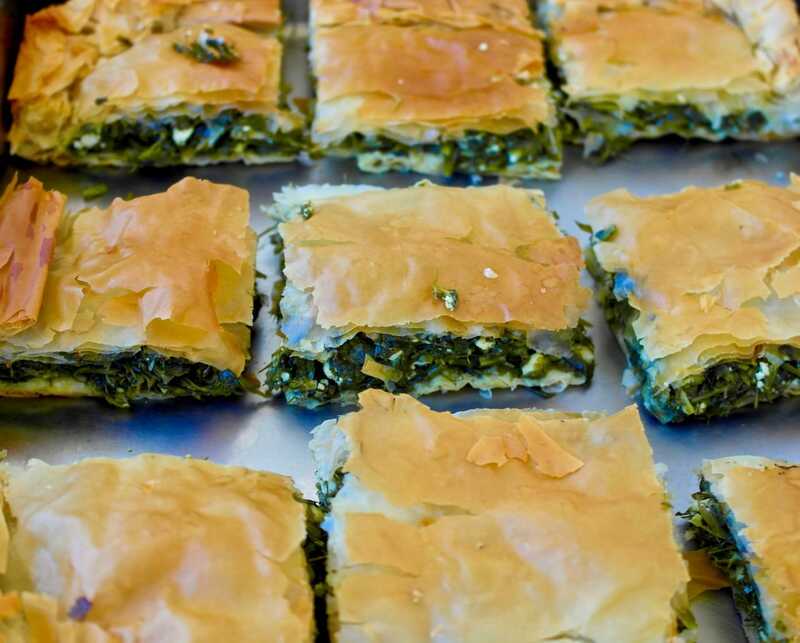 Let’s face it, spanakopita fits everywhere! Greeks always include a spanakopita for any meal for good measure. It is nice as a little appetizer, and is a very welcome dish for those who don’t eat meat. While it takes a bit of more time, you can make it the day before or even a few days before and freeze it. Get the recipe here. Elena, your blogs are always so inspiring. I love trying out your simple, nutritious and always delicious recipes. Thank you Helen! Eating healthy should be simple. Hi! 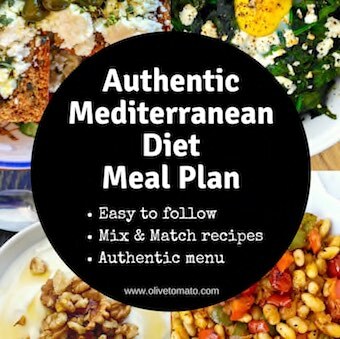 I just found your blog while I was on Pinterest looking for Okinawa and Mediterranean diets. Yours seems to be just what I was looking for! I do have a question though. I am vegan and was wondering about your thoughts on substituting all animal ingredients in your recipes. I see that you have many vegan recipes- thanks for all of your help! Mediterranean cuisine and specifically Greek has a huge selection of vegan recipes. Most recipes that include cheese also have a vegan version but no substitutes are used-they just exclude the cheese. I really appreciate your sound advice and guidance. You are keeping me on track with this type of food. I have always enjoyed this way of eating and living. The recipes are easy to follow and the food is delicious.